A new cast of six-legged villains and two-legged heroes star in this year's Insect Fear Film Festival, which is devoted to the work of "X-Files" creator Chris Carter, a special guest of the festival. 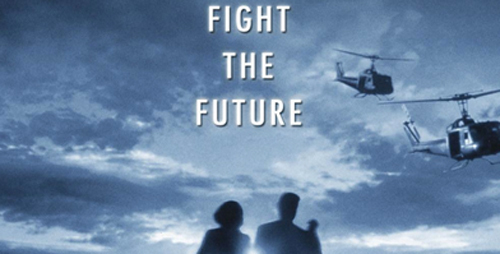 Carter's first feature film, "The X-Files: Fight the Future," will be shown. CHAMPAIGN, lll. - Infectious honey bees and cockroaches out to take down humans will be the cinematic scare fare at this year's Insect Fear Film Festival, an event organizers are calling "The InsX-Files: The Truth (About Insects) Is Out There." In "War of the Coprophages," agent Fox Mulder teams up briefly with entomologist Bambi Berenbaum, whose expertise stems in part from the real-world work of U. of I. entomology department head May Berenbaum. Special guest Chris Carter, the creator, writer, producer and director of "The X-Files" television series and a writer for the movie "The X-Files: Fight the Future," will answer questions about all things X-File between screenings of an "X-Files" TV episode and the movie. The television episode (season three, episode 12) will explore a wave of mysterious deaths associated with (possibly alien robotic) cockroaches. This episode has ties to the University of Illinois campus because it features a character loosely based on entomology professor and department head May Berenbaum, who founded the Insect Fear Film Festival in 1984. "I asked Chris Carter to pick his favorite insect-related TV episode for the festival and to my unspeakable delight the episode he picked is 'War of the Coprophages,' " Berenbaum said. "This is the episode in which disturbing cockroach-related deaths are investigated by FBI agent Fox Mulder, who partners with a USDA entomologist named Dr. Bambi Berenbaum, so of course this one is my personal favorite." The writer for the episode, Darin Morgan, consulted several of (May) Berenbaum's books to write the episode. "So I would say this episode has a much higher level of entomological accuracy than most insect-related television," she said. The story is packed with fun bug facts culled from Berenbaum's books. 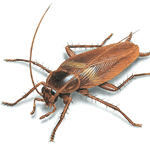 It includes, among other things, Ekbom's syndrome (also known as delusory parasitosis - brought on, perhaps, by the false conviction that insects are infesting your body), anaphylactic allergic responses to cockroaches, the biology and diurnal habits of the Asian cockroach, the grooming behavior and acoustical talents of cockroaches, and the Egyptian worship of scarab beetles. The feature film "involves alien attempts to take over the planet via genetically modified corn that contains a virus that can be transmitted (to humans) by honey bees through their sting," Berenbaum said. Carter's visit is in keeping with a significant anniversary tradition, Berenbaum said. Simon J. Smith, the director of the 2007 animated feature film "Bee Movie," was a guest in 2008 (the 25th festival); and Bert I. Gordon, the director of several "big bug" films of the 1950s, including "Beginning of the End," featuring giant grasshoppers attacking Central Illinois, was a guest in 2003 (the 20th festival). The festival will open at 6 p.m. in Foellinger Auditorium on the U. of I. campus. As is tradition, interactive exhibits and activities will offer attendees a chance to learn "the truth about insects" before the on-screen entertainment begins. Exhibits and activities include exotic insect displays, a cockroach petting zoo, festival T-shirts and face painting. The program introduction will begin at 7 p.m., with an announcement of the "InsX-Files" art contest winners and the presentation of an award to Chris Carter. "War of the Coprophages" will start at 7:30; a question and answer session with Carter will follow at 8:15; and at 8:45, the "X-Files" movie will start, with more opportunities to question Carter at the end of the program.